Have you come across a situation where you need to track someone’s phone? If yes, what you did to do that. Usually, you may need to doc such things to track your children. I found this question in the forum and after searching through various channels found one mobile app which does the exactly same. HoverWatch is that app and it allows you to track the activity of someone’s phone activity without knowing them. This is quite a useful feature to track and know the activities done by your children without informing them. This will help you to keep a track on your children or your subordinates easily. Depending on the activity made by them, you can guide them and suggest the best solution. In this HoverWatch Review, we will discuss the various aspect of the app along with the features, pricing and how to use HoverWatch Mobile app efficiently. These three steps complete the fulfill of your requirements and the steps required from this tool. 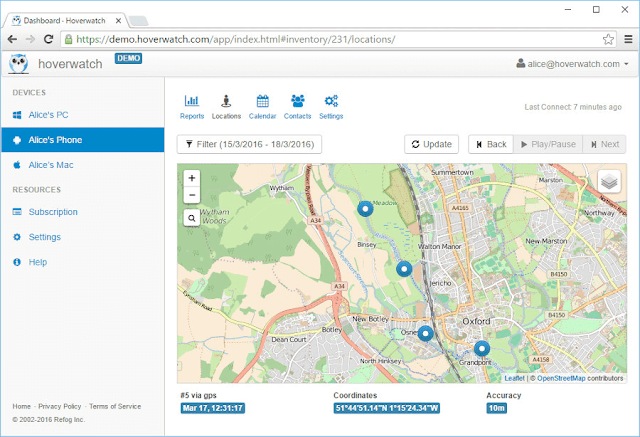 HoverWatch is a free mobile app developed by Refog in 2012. It provides employee monitoring and parental control solutions for customers worldwide. The product has seen a tremendous growth in the past 6 years and has witnessed to be installed in over 12 Million computers so far. Here are some of the amazing features of the HoverWatch Android mobile app which you should know. Also, here I want to mention that don’t use this app for illegal purpose as the phone you are tracking won’t come to know that you are tracking it without their knowledge. These calls can also be downloaded on your system or you can directly listen to them. You can also locate the phone location using this device which you can use for the security purpose. It can be done through both WiFi and GPS system. 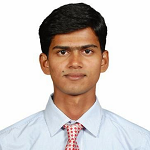 Social medias are one of the engaging platforms for time-pass for all generation of people. But it is not new that people are misusing it or getting misuse of it. 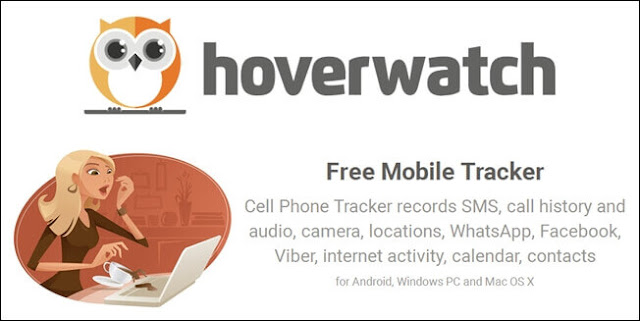 HoverWatch app also allows you to tracks all Facebook messages sent from the Android phone or tablet. The app allows you to save all the incoming and outgoing chats along with audio and video exchanged so that you can track it better. Phone Internet History and many others which you can find at the HoverWatch Features Page. 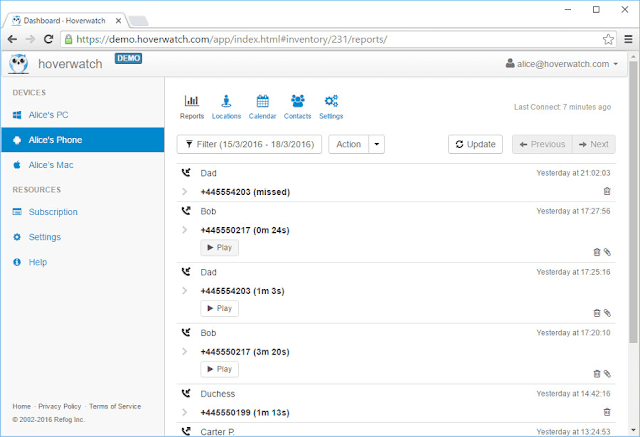 HoverWatch is available for all the major platforms like Android, Windows, and iOS. They have the following two plans. 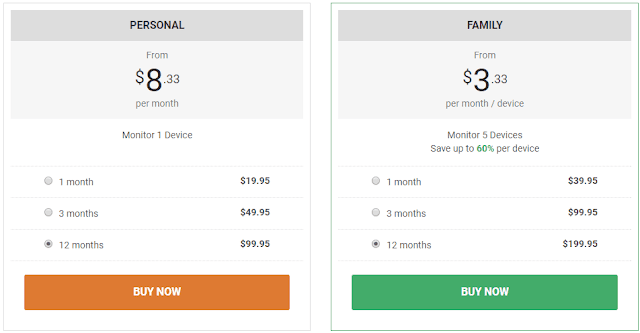 So, depending on the number of devices you need to monitor, you can subscribe to the plan. The payment can be done through PayPal. You can go through the below video to learn how to install and configure the HoverWatch app on Android phone. But again, it is highly recommended not to use this app for any illegal use and maintain the relevance. You can track your children so that you can take them to the correct path of the life. Also, the cost is something which impressed me a lot. Usually, such useful devices cost a lot but it is very economical and starts at just $8.33 per month.